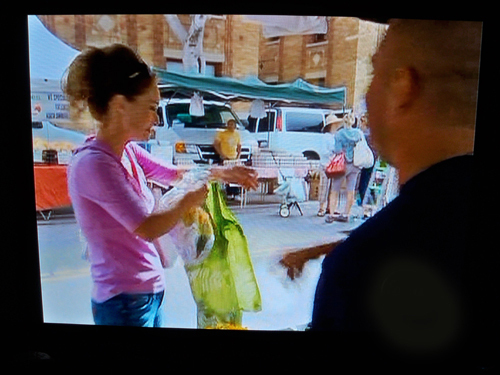 I was watching "Giada at Home" and I noticed when she went to the market she was using the same green Envirosax bag I have! She loves how it rolls up so small, you can take it anywhere and it's so cute. Just like I do! I have that one too! Cool. I would be so tempted to go to that Farmer's Market to bump into her!